The story begins with Nozomu Futami returning to the town where he was born and raised as a child. He moves in near a shrine which houses a legendary stone that was rumoured to have been the place where twin girls turned into birds. The stone is rumoured to be the cause of an abundance of twin girls who are born in the town. The twins who turned into birds did so because of their love for a man who couldn't choose between them. 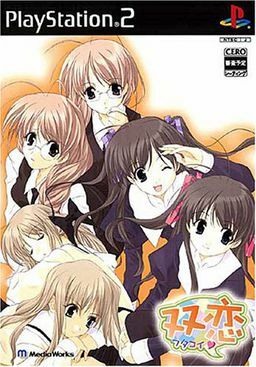 Shortly after Nozomu enters town he begins to run into the same problems as six pairs of twins fight for his love.